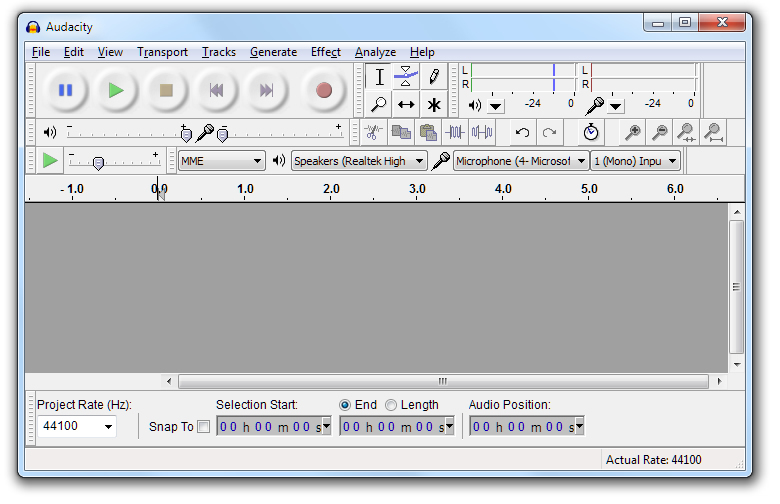 Audacity is a piece of freeware software which you can use to record audio. This can later be incorporated into a Podcast or used as a simple audio file for playing in class or mixing with other media. This article explains how to get the software, install it on your computer and then make a first recording. First visit the Audacity Download Page and select the right download for your computer (either Windows, Mac or Linux). You will be taken to a page and simply click the DOWNLOAD link to save the file to your computer. Once the file is downloaded to your computer, double-click on it to install. When you do this, you can accept all the defaults. When you do this the program will normally find your default microphone and speakers and set itself up for the first recording. If it cannot find your microphone and/or speakers, check the help file. Quite simply click on the red RECORD button and speak. Your voice is recorded and then when you are finished, click the yellow STOP button. The recording is shown here. To save the recording, click on the menu item, FILE > EXPORT and it will allow you to save the file in WAV format which is an industry standard sound file; this can then be used in all sorts of other applications, etc. 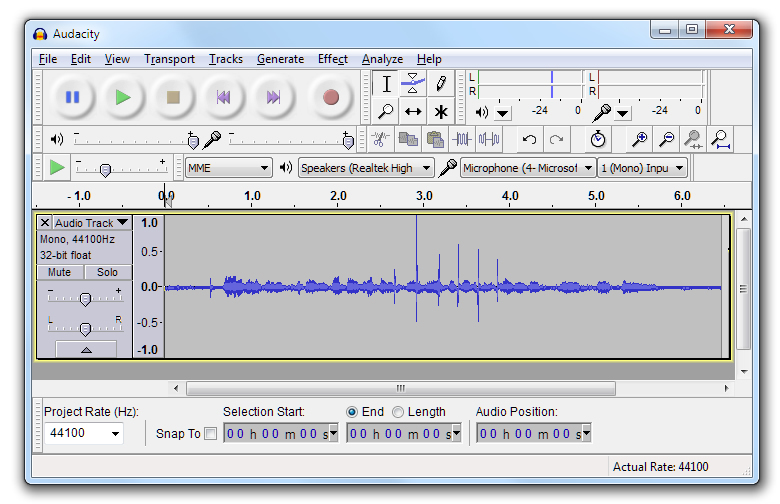 Audacity is a tremendously powerful program which also has the advantage of being very simple to use if you are new to this kind of thing. For much more information about the program including help, forums and suchlike, visit the Audacity Website.